'Cue tips from one Martha to another. Photos from Dinah Surh Web site. IN the culinary world, when one invokes the name, “Martha,” everybody knows the person. It's a one-moniker situation akin to Prince, Madonna, Beyonce. Well, this year at the 2014 Food Network New York City Wine&Food Festival, which starts tomorrow (through 19 Oct.), there will be another Martha (Stewart), the Korean variety, so named by MARTHA herself. Introducing Dina Surh. 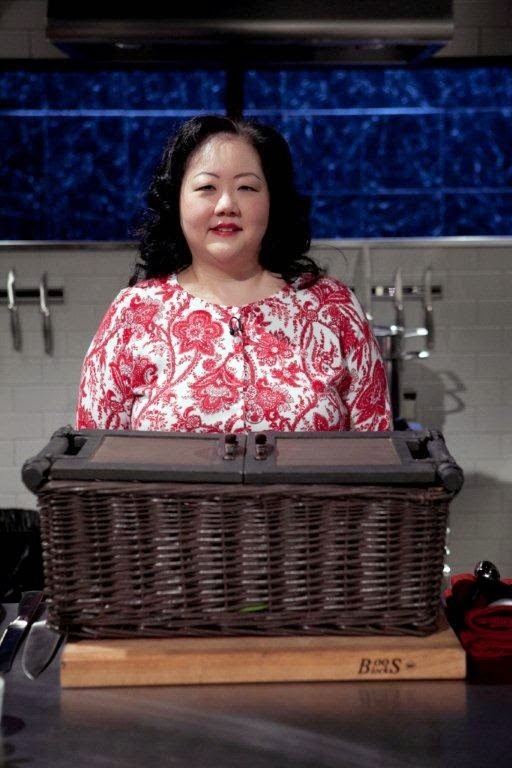 Dinah Surh with her "CHOPPED" mystery ingredients basket. DS is no stranger to “CHOPPED.” She is a past winner. Her winning dishes were: Appetizer, Asian Fried Chicken with Fennel and Ginger Sauce; Entree, Grilled Tika Masala Hanger Steak with Linguine Carbonara; Dessert, Guava Cottage Cheese Sabayon with Candy-Infused Berries. Yum, yum and yum. That win qualified DS to compete last month in the Food Network’s Ultimate CHOPPED Champions Tournament. DS is indeed hot. She has appeared on the Rachael Ray Show and The Martha Stewart Show, where she told herself a thing or two about Korean barbecue. 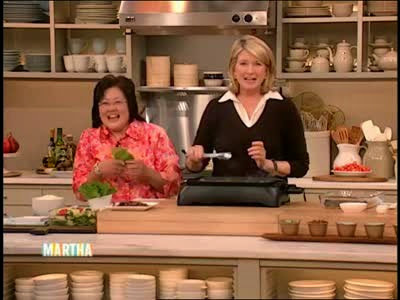 Speaking of, original Martha will be busy at NYCWFF on Saturday, too. She will preside over Cooking with One Pot: A Master Class and MasterCard® Priceless® New York Demo Pass at the Grand Tasting presented by ShopRite. To continue to expound on the hotness of MS's protege, the native New Yorker also has been a staple on the Staten Island Advance newspaper cooking contest circuit. She is a past grand prize winner of its “Scallop Up” competition. Her winning dish was a Bay Scallop and Potato Pancake Appetizer. What will DS whip up for the “'CHOPPED' Best Bloody Mary Brunch?” All-day Breakfast Sliders or Korean Cucumber Salad (See video above)? Not likely. This is a “CHOPPED” affair, after all. It's a mystery. 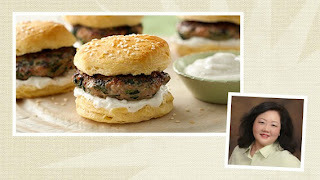 Dinah Surh's spinach turkey sliders can potentially be the most expensive ever. It is no mystery, however, that the dishes will be prepared in the name of two good causes, Food Bank For New York City and Share Our Strength’s No Kid Hungry® campaign. Visit http://www.foodbanknyc.org/ to learn more about Food Bank For New York City. Visit http://www.dinahsurh.com/ to learn more about Dinah Surh.